Ikko Trader understands the importance of keeping an eye on the financial market. In fact, we found it essential to provide traders with ample resources, learning materials and even daily market news to feed them with enough information about the global market in order to know what’s trending and where. Also, we put all the necessary details to ensure traders’ knowledge is as extensive as possible. You don’t have to look for other sources just to keep you updated. Ikko Trader news is your one-stop shop for the freshest scoops in the global market. Ikko Trader news is provided by Yahoo! Finance and can be directly accessed to our website, thru e-mail, in our affiliate websites, by joining our Facebook community or from your mobile device. Some news is frustrating to hear as it boasts negative events happening around the world. However, Ikko Trader news has something you simply cannot resist. 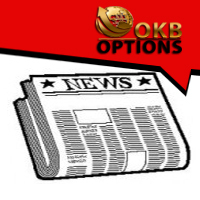 Not only do you get the latest scoops in the global market, Ikko Trader news also incorporates the hottest promotional offers and Ikko Trader bonus. Aside from the financial news feed, we will give you a weekly digest of our special promotions so you will not miss out any earning opportunity. From daily news feeds and 24/7 support to market analysis and trading tutorials, rest assured that you will find all the knowledge and vital information right at your fingertips. Now you’ve got a bunch of reasons to stay connected. After signing up for an account, you will automatically receive Ikko Trader news to your mail inbox. You can also subscribe on our daily news feeds using our Ikko Trader mobile services. Never miss out on the latest market news and promotional offers, always check your mail inbox regularly as we are constantly updating these news feeds every day.